So, you’re sure you want to stay in the biggest country in the world, and have had enough of renting and landlords? Then the next level for you is to buy your first apartment in Russia. Follow these five steps not to go crazy in the jungle of options, offers and papers! After we told you how to survive your apartment hunt in Moscow, we now go even further. 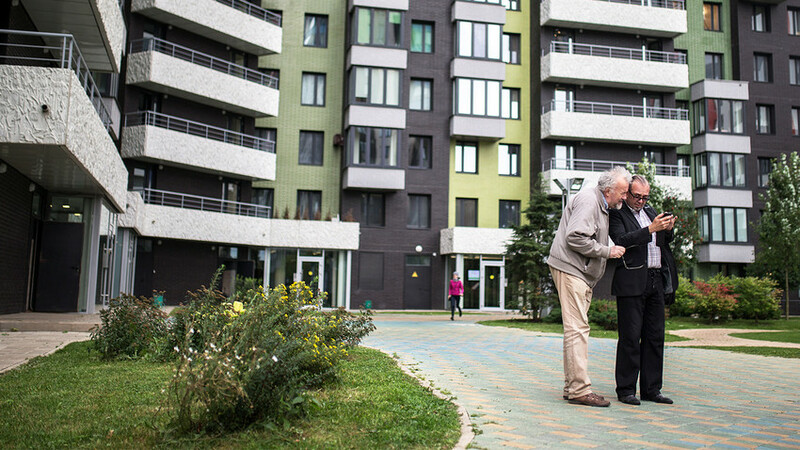 To find out what you have to do to buy your first flat or other property in Russia, we talked to experts from the Russian Agency of Housing Mortgage Lending (AHML). Just to tell you right away: Buying property and registering it will not grant you any new migration status! These are absolutely different processes. For instance, if you’re in Russia on a business visa, that’s the only visa you’ll still have. 1. Pick out your dream apartment! In Russia it is usual to buy apartments while they are still under construction. In these cases the building company does not invest own or borrowed funds, but the money of the future owners of the flats. The apartment business in modern Russia works mostly like this. When you opt for a property that is still under constructions, you will, of course, have to wait until it’s ready for moving in. That’s a real disadvantage. On the other hand, you have more influence over how your dream home will look in the end. What’s more, these flats and apartment blocks can be a lot cheaper than ready built property. To buy a new flat that is already built, you have to be very lucky! Especially around the big cities of Moscow, St. Petersburg, Nizhny Novgorod, Kazan, etc., there are almost no free apartments when the construction process finally comes to an end. So when you want to buy property that you already can see and “touch,” you will have to search the “second-hand” property market. One, two or 20 rooms? In newly built blocks, you can find lots of one-room apartments, because in Russian flats the living room often doubles up as a bedroom. At the moment, only in the major cities have companies started to build more two-room apartments and bigger. In older apartment blocks, you can find big flats with about six, seven or even ten rooms. In Soviet times they were used often as “komunalkas,”—apartments for several families. But these flats are often sold only on a room-by-room basis. And to find out who is still registered there is often really complicated. Another key feature of your new home is the location! A great help to compare different regions across the whole country is the AHML Index of Urban Environment. Also follow Russia Beyond and take a look at some typical expat sites if you’re looking for the best residential areas of Moscow. >>> Where do Moscow’s richest live? >>> What are the 7 most expensive and 7 most affordable districts in Moscow? We strongly recommend that you find yourself a local realtor with knowledge of your mother tongue. In the bigger cities at least, there are many agencies as well as individual realtors that offer services in English and other languages. The realtor will be very important for you because he or she can check the registration documents of your future property: the certificate of ownership and grounds for acquisition, the agreement of all co-owners, and perhaps existing mortgages. The realtor also knows how to prove whether there is still someone registered or not. Because if someone else is registered there, they might suddenly decide to take up residence with you in “their” home. And they would have the law on their side! If you have enough money to deposit the whole sum immediately. In this case, of course, you’ll avoid most of the bureaucratic stress. All you need is a bank account – with a Russian one it will be much easier to transfer such large sums of money. Or a mortgage to pay off the property every month over the next few years (or decades). It’s vital to be aware that the average interest rate at the moment is about 11%, but on a downward trend. Getting a mortgage to buy property isn’t that easy for foreigners. First, not every bank offers that service, because it’s impossible to check your credit history and whether you’re solvent. Various special programs for foreigners are offered by Sberbank (Russia’s biggest), the online Bank Tinkoff, and a few others. For details you can ask in your local branch or take a look at their websites. 5. Purchase your new Russian home! To conclude a purchase agreement, you need a passport with an apostil from your country and a notarized translation. If they’re in order, you’ll then be checked by both the Ministry of Interior of your own country and the Russian embassy. Also you can choose a representative – it’s recommended to find a Russian citizen! – to conclude the agreement. Then you won’t need all the translations and stamps. So it’s much easier. The contract itself must be in Russian. You will do well to discuss the details not only with the realtor and the company. On the other hand, the realtor or the building company must prove that you have a valid visa, a work permit, or permanent residence status in Russia. So be ready to show these papers too! Number of the week: How much is Moscow’s most expensive apartment? Where might your neighbor be Russian? 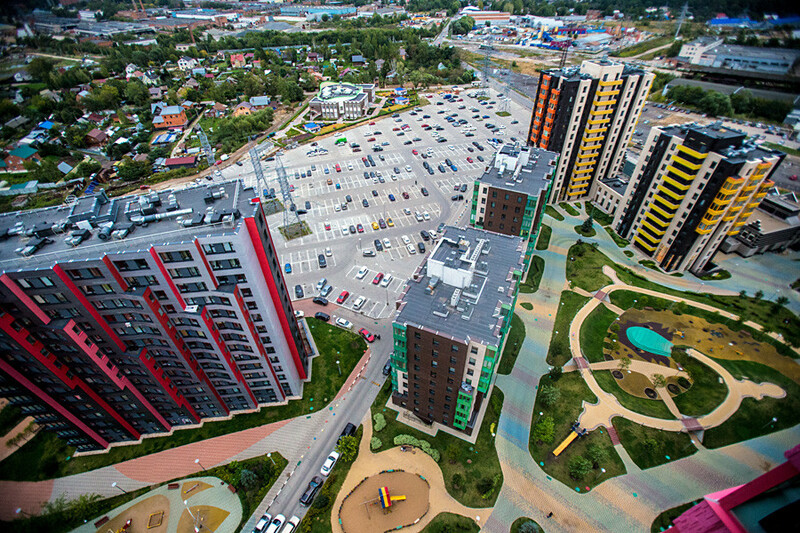 What are the 7 most expensive and 7 most affordable districts in Moscow? Where do Moscow’s richest live?